Do you remember the children's television series Welcome To Pooh Corner? We do and now that we've been reminded, we have that familiar song stuck in our heads again. "Welcome to You, and how do you do? Everybody's waiting here at Pooh Corner. To have a happy hoopty pooh time." Welcome To Pooh Corner is a Winnie The Pooh television series that aired on The Disney Channel for three years, starting in 1983. That means my children (born in the 1990s) must have watched them in reruns or on videotape but watch they did. They loved the kindly old gentlemen who opened and narrated each story and the animatronic puppet characters which managed to be expressive despite what now seem like awkward costumes. Welcome To Pooh Corner, despite its popularity, has never been released on DVD. As an eBay seller of rare VHS videotapes, I am aware that people love this series and I am aware that it commands fairly significant prices, especially for VHS tapes. My experience though also shows that the tapes are indeed somewhat hard-to-find for I have never seen a set myself. 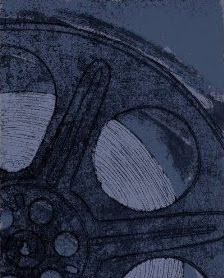 Fortunately, if you are after these rare videotapes, you can still buy them through online sellers either at Amazon by clicking here or on eBay by clicking here. Do you remember Welcome To Pooh Corner? Were you or was someone you know fans of this Winnie The Pooh television series? Do you happen to OWN these rare videotapes? Read more about Welcome To Pooh Corner. See my selection of VHS videotapes on eBay. With thanks to RetroJunk for their assistance remembering that line, "have a happy hoopty pooh time." 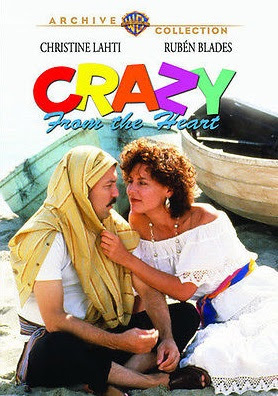 Crazy From The Heart is a very entertaining romantic comedy starring Christine Lahti, Rubén Blades, William Russ, Louise Latham and Tommy Muñiz. It is a 1991 made-for-television movie, which I loved and which apparently, many others love, too. Take one high school principal who has followed all the rules to the point where her life is rather predictable and might I say a tad boring. Dating the school coach in secret was breaking the rules but then she sneaks off with a Mexican man who is ready to, as his daughter tells him, "get a life" and who has decided that he likes, for some unknown reason, his uptight school principal. A pursuit and an adventure in Mexico add up to a scandal...and to a movie that is truly enjoyable. Unfortunately, Crazy From The Heart is not available on DVD nor on blu-ray. If you are among those who adore this movie and want to own a copy, you will have to purchase it on VHS videotape. I am pleased to be able to report that Crazy from the Heart was released on DVD in 2013 and is now widely available directly from Amazon by clicking right here. Order Crazy From The Heart from Amazon. Complete Crazy From The Heart movie review. How to care for your rare VHS videotapes. My husband surprised us this weekend when he carried home a copy of The Sixth Sense on blu-ray. I had heard of The Sixth Sense but I did not realize that when it was released it was a surprise blockbuster and went on to be nominated for six Academy Awards including Best Picture. The story is a sad one, the tale of a nine-year old boy who has a secret, which he eventually shares with his psychologist. The secret? He can see the ghosts of dead people. The psychologist is skeptical but is desperate to help the boy and to save his own marriage, which is falling apart. It turns out that the reality is much more complicated than he expected. All four of us, my husband, my teenage boys and myself, were enthralled. The Sixth Sense is a thriller and a ghost story with an amazing finish. It is a well-written and well-acted movie and I thoroughly enjoyed it. It features Bruce Willis, Haley Joel Osment, Donnie Wahlberg, Olivia Williams and Toni Collette. Here's a peek at this 1999 Walt Disney Studios Home Entertainment production, which is, by the way, rated PG-13. The movie does have some graphic images which may be disturbing to even some high schoolers. The Sixth Sense is a haunting story with a great story line. It is perfectly done as a thriller but it is not a horror movie. High-Def Digest calls it a "simple, haunting, and ultimately uplifting ghost story." I think that is perfect. The blu-ray version? This movie received a good transfer and an interesting package of bonus materials. A great film, it comes highly recommended by Blu-ray.com and by my family. Does The Sixth Sense sound like a movie for you? Order your copy of The Sixth Sense on blu-ray from Amazon. A warm welcome to a musical guest and expert, Waxing-Lyrical, who recently wrote a page dedicated to the best selling songs of 1975 (in the UK) and agreed to share the music of 1975 here with us. The ten best selling songs of 1975 in the UK were not necessarily the ten best songs of the year. Let me explain. The mid 1970s were a fairly stagnant time for innovation in singles. The end of the glam rock era was appearing on the horizon, while the explosion of the punk rock era was still two years away. What was filling the void was an upsurge in sales for teen idols, such as the Bay City Rollers, David Essex and Pilot. There were some bright spots however amongst these artists and the middle of the road from the likes of Roger Whittaker, Art Garfunkel and unbelievably, Telly Savalas! The group 10cc had been recording for several years, and 1975 witnessed one of the band's biggest selling and lushly produced hits in I'm Not in Love. The song just missed out on registering in the list of the ten best sellers, but has since become a classic and included on many lists of favourite tracks. Another rock staple, and one which changed the concept of mainstream rock music, was also released in 1975. Queen's Bohemian Rhapsody was not available until late in the year, and because of this, the song did not make the year-end best sellers list. Were it released earlier in the year, it would surely have been the Number One song of 1975. In fact, in the UK, it has gone on to become one of the biggest selling tracks of the 1970s. A career best seller, at least in the UK, was Rod Stewart's Sailing. While we had been used to listening to Rod rock out, this track saw Mr Stewart in a more mellow mood while registering the second best seller of the year behind The Bay City Rollers. It was a cover of a Sutherland Brothers track and later used as the theme to a BBC documentary series called Sailor. This repeated playing ensured that Rod would return to the UK music charts the following year, making Sailing his biggest song ever in the UK. While these tracks stood out among an uninspiring and somewhat stale list of what the British public was buying, there were some fun highlights. Billy Connolly brought us his comedic twist on the Tammy Wynette country classic D.I.V.O.R.C.E. and there was the summer pleasure of Barbados by Typically Tropical. But this was not enough to allay the revolution that was about to blow away the cobwebs of British popular music: Punk rock. Thanks, Richard! I can see similarities with what was going on in North America although I am not expert enough to know that the music scene looked exactly the same. 1975 was just a wee bit before I was listening to much music but of course many of these artists and their hit songs will be with us forever. What do you remember of the music of 1975? 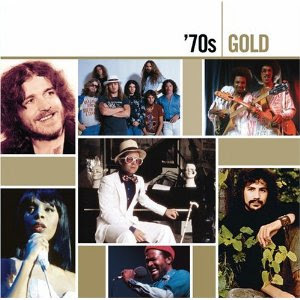 Order your copy of 70's Gold from Amazon. Are you anxious for the new Harry Potter movie, Harry Potter and The Deathly Hallows or even just for a wee bit of advance information about the movie? Are you watching for the movie trailer? Wait no more, for here it is and it looks dark and brooding and exciting. Were you aware that The Deathly Hallows will be in two parts? 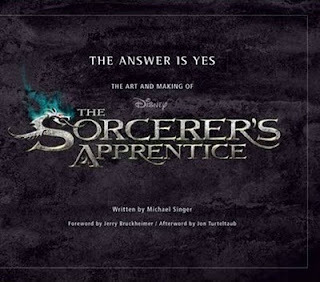 The first part will be released in November, 2010 and the second part in July, 2011. When finally we are able to view this movie at the movie theatre, we will have the choice of seeing Harry Potter in three formats as the movie is being released in 2D, 3D and Imax 3D. That will, of course, eventually mean one more 3D blu-ray movie available for those who have invested in 3D HDTV and 3D blu-ray players. Are you awaiting Harry Potter and The Deathly Hallows? 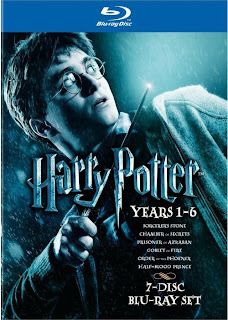 Order your Harry Potter Movies 1-6 Gift Set from Amazon on blu-ray. Order your boxed set from Amazon on widescreen DVD. 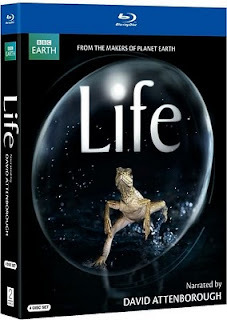 Order your boxed set from Amazon on fullscreen DVD. The 1968 movie Bullitt, often quoted as the best car movie, featuring Steve McQueen, Jacqueline Bisset, Robert Vaughn and Don Gordon is available on blu-ray. The 1971 movie Vanishing Point is available on blu-ray disc and is quite affordable since Amazon has the price reduced by more than 70 percent making it an inexpensive $10 blu-ray disc. The 1997 Imax film IMAX: Super Speedway , starring Mario Andretti and Paul Newman, promises plenty of action. The 1998 Ronin, starring Robert De Niro, Jean Reno and John Frankenheimer, has some pretty sensational car chases and is marked down almost 50 percent on Amazon. The 2000 version of Gone in 60 Seconds starring Nicholas Cage is available on blu-ray. Unfortunately, the 1974 version is not. Quentin Tarantino's 2007 car movie, Death Proof, with Kurt Russell is available on blu-ray. This one is also called by some the best car movie, especially if it is car chases that you want in your car movies. Disney's 2006 movie CARS is available on blu-ray. This movie is a very good animated movie and featured the voices of Mario Andretti, Jack Angel, Paul Newman and Michael Patrick Bell. 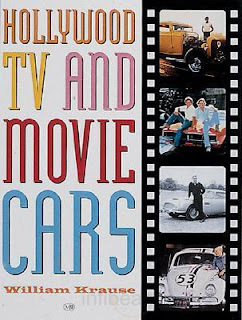 This is by no means a complete list of the car movies available on blu-ray; however, it is packed with great car movies and I believe that there is a car movie here for everyone. Find Car movies on blu-ray on Amazon. Discover The Best Car Movies on Blu-ray and DVD. Read my review of Clint Eastwood's Gran Torino. What is the best car movie? If you have been wondering, you will have to drop by The Best Car Movies on Blu-ray and DVD and see the results of my analysis. However, if you like car movies, I am willing to bet that you already have a pretty good idea of what YOU think is the best car movie. Of course, 'best' is open to interpretation as is the definition of 'car movie.' 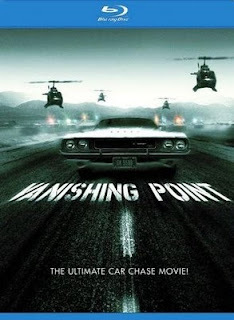 Some call any movie with a car a car movie and that can include the likes of Chitty Chitty Bang Bang and Gran Torino while others consider only a movie with a car chase a car movie and that can include the likes of Bullitt and Death Proof. Some require just a lot of CAR to enjoy a car movie; others, like myself, need a car and a good plot line. Which garage are you in? Do you love pretty much any movie with car action or do you want a really good story with your cars. And oh yes, don't forget to let us know what movie you think is the BEST car movie. You can do so here or you can visit my page about the best car movies to see what others are saying and to vote for your favorite.